Deadline Approaching to Submit Your Book to Our Writing Contest to Win a FREE Publishing Contract! Richter Publishing is excited to announce our annual writing contest for aspiring authors. This is an incredible opportunity to become a published author. If your manuscript is chosen, you will get your book published in paperback and digital formats on distribution channels all over the world! The deadline for submission is in 21 days on August 1st. The winner will be announced at our annual Book Festival & Author Awards on October 13th, 2018. You must be physically present, or have a representative there, to win. The manuscript does not have to be professionally edited—though it might help your chances. Manuscripts must be between 20,000 and 100,000 words and written in English. There is a small, non-refundable fee for admission. It is also per manuscript. If you submit multiple manuscripts, there is a fee for each one. Scope of work can be: non-fiction, self-help, memoir, history, etc. We do not accept children’s books, erotica, fiction, or any slanderous stories. To submit your book before the deadline, click here and select “Writing Contest,” then fill out the rest! Comments Off on Deadline Approaching to Submit Your Book to Our Writing Contest to Win a FREE Publishing Contract! 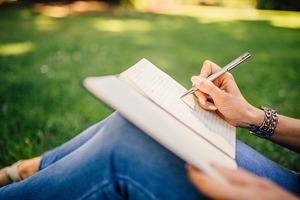 Entrepreneur 2 Author Magazine & Writing Contest! We are excited here at Richter Publishing to release our first edition of our magazine “Entrepreneur 2 Author!” This publication has information for the authors featured at our 2016 Author Awards Ceremony & Book Gala. In addition we have last years award winners showcased along with helpful information for aspiring authors on how to start writing their first book. It was unveiled on October 20th 2016 at Cooper’s Hawk Winery. If you were not there to get a copy, you can order them for only $5 + shipping! Just click here. you could be on distribution channels all over the world! Please visit our website for all the rules here. 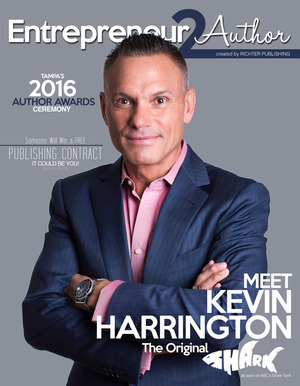 Comments Off on Entrepreneur 2 Author Magazine & Writing Contest! Tagged as ABC, Amazon, Audio books, Audiobook, Blogging, Christmas, ebook, Entrepreneur 2 Author magazine, Entrepreneur 2 Author Magazine & Writing Contest, Happy Holidays, Happy New Year, Health, Health & Fitness, how to, Inspiration, networking, OMG!, on the road, online presence, PhD, podcast, Richter Publishing, richter publishing authors, Richter Publishing Seminars, Richter Publishing Solutions, Search Engine Optimization, self-publishing, SEO, Shark Tank, Skype, t, Tara, Tara Richter, Volunteering, workshop, Writing Contest, writing tips, WTF?